If you are stuck with same breakfast everyday, I strongly recommend making this nourishing and energising recipe. 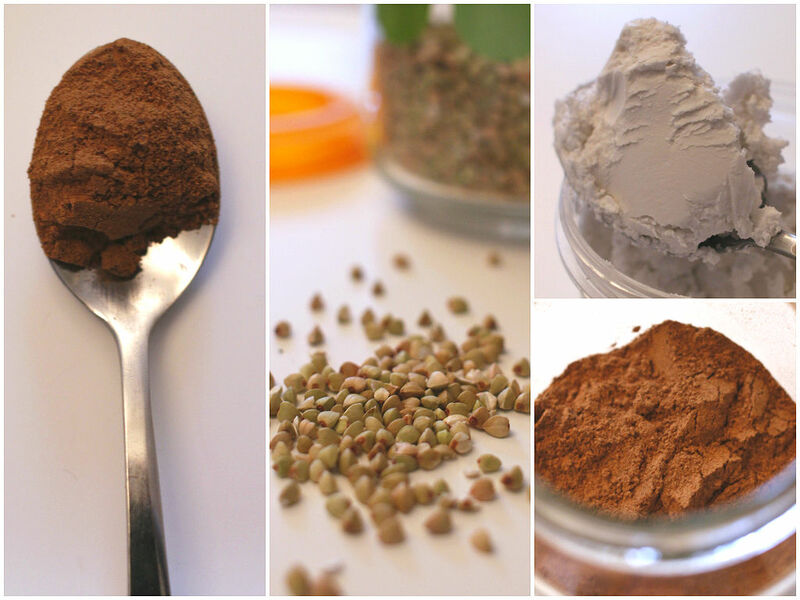 Raw buckwheat porridge seems to be so popular among healthy foodies on the web at the moment. It is super easy and quick to make, which is very important in busy mornings. 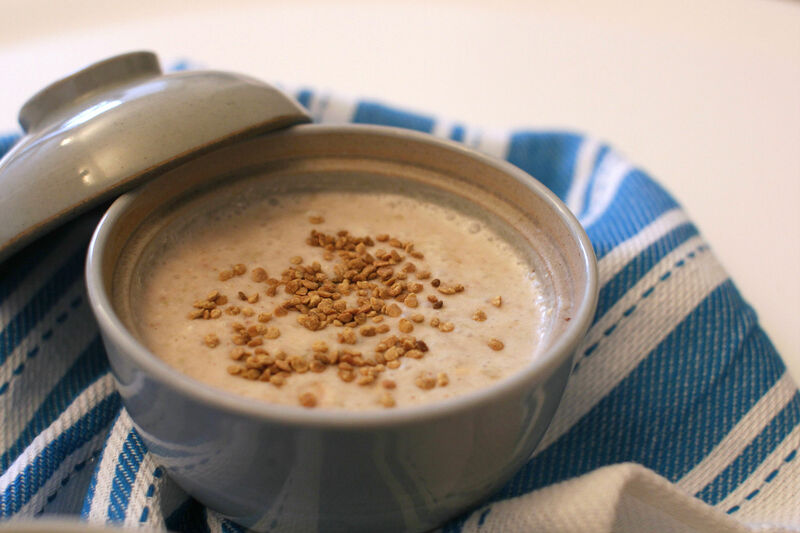 All you need to do is rinse the soaked buckwheat and whiz up in your blender with other ingredients. It is also tasty and nutritious all thanks to gluten-free buckwheat. Buckwheat offers many good health benefits – easily digestible protein, rich dietary fibre, antioxidants such as rutin, vitamin B complex, minerals like copper and magnesium. It is a good source of energy, low GI, grain-free, gluten-free and really easy on your digestion. What not to love about these little beauty! I used coconut cream for a rich tropical flavour and chai spice for a spicy and pungent goodness. Beautiful ingredients in chai (cinnamon, cardamom, star anise, black pepper, fennel, clove and nutmeg) are rich in antioxidants and vitalising, great for the first thing in the morning. I make a jar of chai spice and use for tea, coffee, porridge and baking. This porridge or smoothie (if you make it thinner) can last well in the fridge, so you can make ahead and even take it to work or gym if you like.